Bessie L. Sherwood, 87 years old, of Blue Springs, Missouri passed away Thursday, April 5, 2019 at St. Mary’s Manor in Blue Springs. Bessie was born March 5, 1932 in Green City, Missouri to Robert and Stella (Livingston) Downing. On March 18, 1950 in Milan, Missouri, she married Charles Oren Sherwood, he preceded her in death February 13, 2006. She was preceded in death by: her parents; her husband; a daughter, Kathy Williams; two brothers, Robert Downing and Charles Downing; and two sisters, Alma Keller and Ruby Rose Brown. Bessie lived most of her life in Green City and Kansas City. She was a member of St. Mary’s Manor Church. 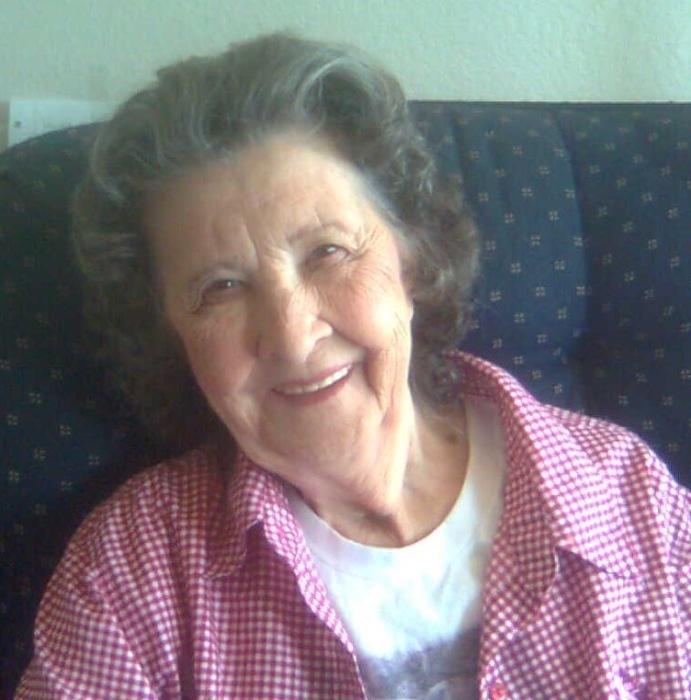 She enjoyed sewing, gardening, traveling, and playing Bingo. Bessie was a wonderful wife and mother. Funeral services for Bessie will be held 1:00 PM Thursday, April 11, 2019 at Schoene-Ruschmeier Funeral Home in Milan, Missouri. Burial will follow in the Owasco Cemetery southeast of Milan. Visitation is scheduled for one hour before the service at the funeral home. Memorials in her memory are suggested to the American Lung Association.